Christianity evolved within the context of Judaic and Hellenistic healing cults, magic, shamanism, and Mystery initiations. Al four of these inevitably imply a sacred ethnopharmacology, with traditions going back to earlier ages oft eh ancient world. When the apostle Paul proclaimed the new Christian Mystery to the factious congregation at Corinth, there was no one who would not understand that this Eucharist was meant to replace the pagan Mystery that had been celebrated for over a millenium just a short distance away up the shore at the sanctuary of Eleusis. 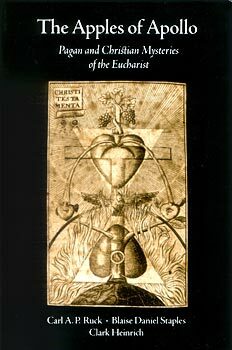 These essays attempt to uncover the original food of the sacramental communion.